Click on your preferred date and location on the right to register. 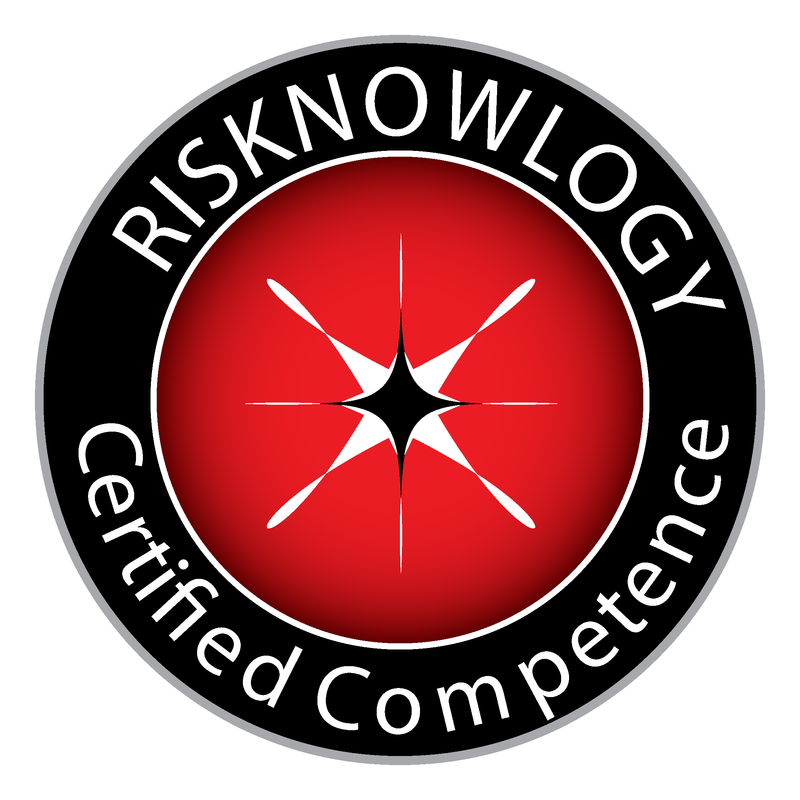 Risknowlogy offers a TUV SUD certified functional safety and SIL for safety-related systems training course for safety-related systems (SRS) specialists, professionals and engineers. The course focuses on functional safety aspects of safety systems according to IEC 61508. 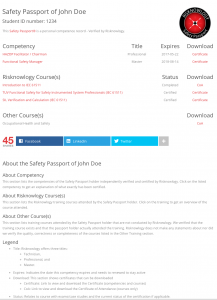 The main objective of this course is to give engineers, professionals and specialists involved in safety-related systems the opportunity to learn the fundamentals of functional safety and the requirements of the functional safety safety standard IEC 61508. A second objective is to give anybody attending the course the opportunity to certify their knowledge through an exam. TUV FS Engineer: Exam score equal or more than 60% and less than 75%. TUV FS Professional: Exam score equal or more 75%. The Functional Safety and SIL for Safety-Related Systems Training course is a complete overview course which means that we explain the concepts of functional safety without going into detail for each topic addressed. The course is for everybody involved in any part of the lifecycle of safety instrumented systems. Everybody involved in functional safety will need to know about topics like functional safety management, lifecycle, risk analysis, reliability calculations, etc. But it is not expected that everybody becomes an expert on these topics. Therefore the questions of the exam will be of a nature that anybody should be able to answer them. What you should not expect is questions that ask you to perform a SIL calculation, to perform a detailed software criticality study. Any question asked can be answered by understanding the fundamental concepts of functional safety. With good reasoning it will be possible for anybody to get to the right answer. Calculators and other tools are not required during the exam. During the course sample questions will be presented and discussed. 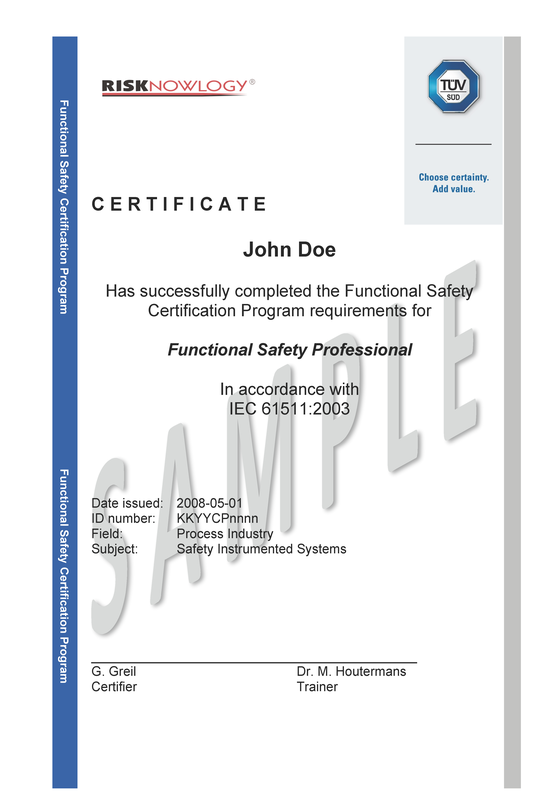 The functional safety standards (IEC 61508) require that anybody involved in safety lifecycle activities shall be competent to carry out the activates for which they are accountable. Use this course, examination and certification to prove to your clients, peers and management that you are competent in the field of functional safety. When you pass the examination you get your functional safety knowledge certified and can use the certificate to demonstrate your competency. How long is the TUV certificate valid? The certificate is valid for life.